PCA is the largest independent, single marque club in the world. • Mardi Gras Region is currently working on the 2019 DE calendar. Please check back soon for updates. Keep your membership records up to date! The road awaits ... 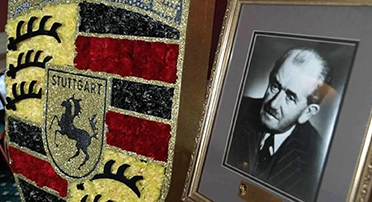 When you join the Porsche Club of America, you become a member of the largest independent, single marque club in the world. 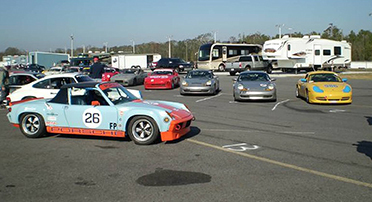 The latest news and information regarding the Porsche club of America, Mardi Gras region. Including PCA Club and NASA events. There is no substitute... As a thoroughbred sports car, your Porsche is capable of much more than you can safely experience out on public roadways. Everything you need in one location. Here are some interesting stops we’ve found along the information superhighway. A BIG THANKS to Porsche of New Orleans for sponsoring our region. It is through their generosity that we can put on many of the events that Mardi Gras Members enjoy. At Porsche of New Orleans we are excited to show off our Passion for the brand, our Pride in our vehicles, and the Performance of Porsche. 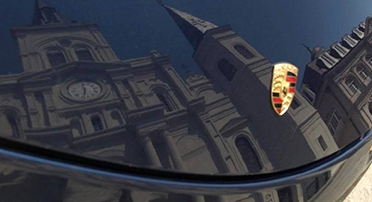 Porsche of New Orleans is part of Ray Brandt Automotive Group, which offers new car dealerships across many foreign and domestic automotive brands, including Chrysler, Dodge, Jeep, Ram Trucks, Nissan, Toyota, Scion, Kia, Mazda, Volkswagen, Infiniti, Mercedes-Benz, and Porsche. Mr. Ray Brandt has been in the automotive industry for over 30 years and is committed to providing a car buying experience unlike any other. Since its inception in 2009 Porsche of New Orleans has always understood the importance of creating long-term relationships with the two most important resources: customers and employees. At Porsche of New Orleans we’re not only selling luxury cars, we’re selling a luxurious lifestyle. When you come into our dealership you’ll feel the difference in customer service from start to finish.